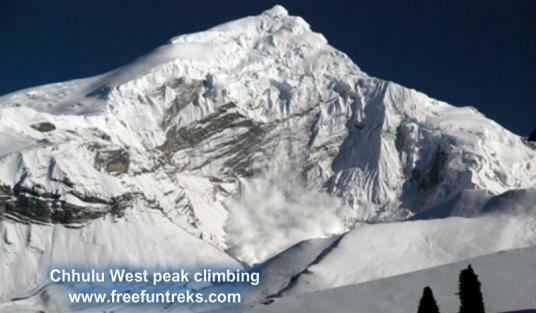 Chulu Peak is situated to the north of the Annapurna range, and is an ideal summit for those wanting to extend their climbing experience beyond the trekking peaks of the Everest region. It is a prominent peak in the Manang Himal range, rising majestically from the semi-arid flatlands of the Manang valley, in the mid northwest region of Nepal. At 6410m Chulu West is the highest peak in the Manang Himal range and is also considered on of the most beautiful. It is also and ideal peak on which to develop expeditionary style experience, as members will play an active role in establishing intermediary camps on the mountain. This trek is strenuous therefore a high level of physical fitness is essential. A strong sense of adventure, and the willingness to walk 8 to 9 hours a day, often at high altitude is strongly recommended. A basic knowledge of mountain climbing is an advantage, although our experienced Sherpa guides will guide and accompany you to the top. 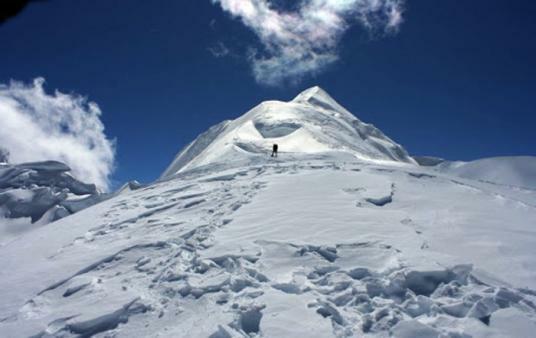 Day 14: Summit Chulu East (6,358-meter) or West (6,420-meter) and return back to base camp.